If you are not familiar with Dynamic Remarketing, it is very similar to traditional Remarketing; it allows you to reconnect with users who have viewed products on your website. The difference from the traditional method is that Dynamic Remarketing stands alone in its ability to allow advertisers quickly and easily promote hundreds, if not thousands, of products in a scalable manner. Dynamic Remarketing isn’t new. It’s not the future. It’s happening right now, and it’s an opportunity not to be overlooked. Dynamic Remarketing is dependent upon having three separate pieces working together – a product or service feed, a tag with custom parameters, and a correctly configured Google AdWords campaign. You must maintain an updated list of your products or services with all of their associated product details. This feed contains all of the pertinent information about your products like their name, how much they cost, product descriptions, unique product IDs, manufacturer IDs, product categories and the list goes on and can be customized in many ways. This data feed supplies the AdWords system with the correct information to populate into any given ad. If you are in Ecommerce, use Google Merchant Center to manage your feed. If you are in another business vertical, whether it’s Education, Flights, Hotels, Jobs, or something else, you can create and upload business data in the Google AdWords shared library. Just like traditional Remarketing, a tag must be placed across all pages of your website. With Dynamic Remarketing that tag should contain custom parameters used to identify which products or services a user has viewed while perusing your site. 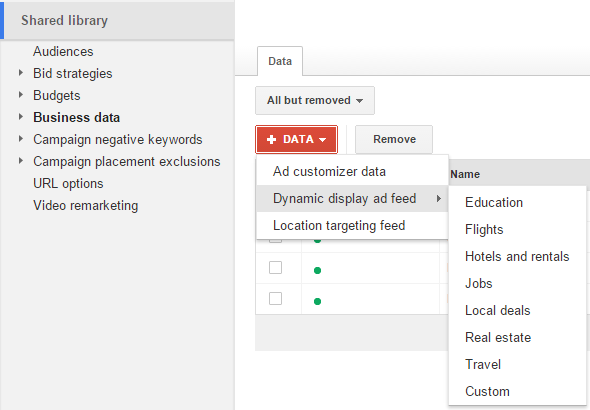 Both the Google AdWords Remarketing tag and the Google Analytics tag can be configured to record these dynamic attributes. Read Amanda Schroeder’s advice on using Google Tag Manager to customize your Google AdWords tags. 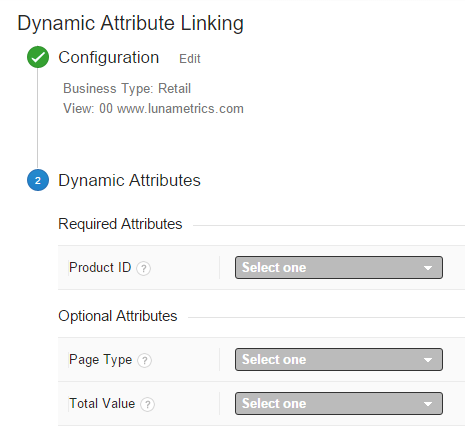 If you are interested in using Google Analytics to define these parameters, create custom dimensions and update you dynamic attributes in the admin accordingly. Dependent on your business vertical, you may make use of several different attributes so select the one most appropriate for your needs. Linked AdWords account will then be able to access this information when identifying browsers. Bring the other two pieces together in Google AdWords using proper campaign configuration. As a first step, ensure that the campaign has been opted into use of dynamic ads from your specific feed type. Check the box and select the matching feed type from the drop-down menu. 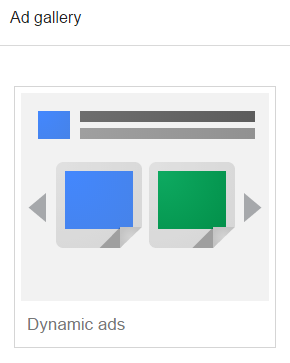 Finally, use the Google AdWords Ad Gallery to create dynamic image or dynamic text ads by selecting one of the templates from the assortment of available options. AdWords will scan your website and automatically pull logos and color palettes to match your brand. Once you have these three elements in place, your Dynamic Remarketing should kickoff without a hitch. Good luck!